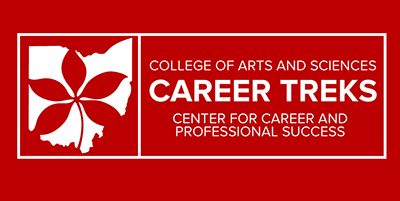 The Center for Career and Professional Success offers a variety of services specific to the needs of Arts and Sciences students and recent graduates. These services can help you develop and refine your application materials, evaluate the effectiveness of your search strategies, identify sources of potential network contacts, and assist with interview preparation. You are strongly encouraged to utilize each of the services below throughout your career development process. Career coaching is a reflective process that involves discussing the career options you are considering and mapping out a plan for achieving your career goals. Just as obtaining a degree consists of classes that build upon one another until you reach an expected level of proficiency, moving successfully from the classroom to the workplace is also a process that requires you to take action and reflect. The planning process includes discussing how to increase your career readiness competencies. Career Coaches track opportunities and share resources associated with the Center’s Career Communities. Handshake is a great starting point for identifying internships and other types of resume builders to pursue before you graduate, and a Career Coach can assist you along the way with your search. - Select and save your Academic Year (Freshman, Junior, etc.) next to your profile picture. - Select your college (Arts and Sciences) under the “Education” section. Click on the Career Center dropdown in the menu bar and select Appointments. To request a new appointment, click the Schedule a New Appointment button. Select a date and time that works for you. You can also click on Staff Member at the top of your screen to see the availability of different staff members. Enter details about the appointment in the What can we help you with? section, then click Request at the bottom of your screen. You will be taken to the overview of the appointment where you can cancel the appointment or add comments before the appointment. Make sure that you check your notifications for updates on the status of your appointment. All students interested in meeting with a Career Coach must upload their resume into Handshake 48 hours before their appointment and should bring a hard copy to their appointment as well. You are strongly encouraged to work through the process of developing an approved resume before you schedule an appointment with a Career Coach. Therefore, plan to start the resume approval process at least one week prior to when you want to schedule an appointment. When you begin with an approved resume, more of the appointment time can be devoted to the coaching components listed above. Information about the Career Success resume approval process is found under Resume Review Options. Prior to meeting a Career Coach you should also have a general sense for the career community/communities that best describes your career interests. As an Arts and Sciences student, you may choose to join any of our 10 career communities. Each community is based around an industry and will offer you unique content – such as connections to alumni or employers within that industry and events that will prepare you for that next step. Regardless of your major, you can explore or attend a number of events across industry or interest. When you meet with a Career Coach they can provide guidance related to your desired Career Community. The Career Center offers a variety of tools and resources to help you get started with your search. In addition, you may wish to schedule an appointment with Career Counseling and Support Services to discuss how to efficiently and effectively execute your job search. The service is free and available to alumni for two sessions up to one semester past graduation. The intent of the following programs are to offer all students the opportunity to engage in career programs that create connections between students with particular career interests and professionals who have such expertise. Be on the look-out for announcements about these programs throughout the year. Career Treks provide students from the College of Arts and Sciences the opportunity to gain insights into career options by visiting industry leading companies and organizations. Career Treks consist of site tours, as well as panels, presentations, and networking opportunities with recruiters and hiring managers, many of whom are OSU alumni. Local and regional treks are planned, as well as visits to a select group of top U.S. destinations. Visit our events page to discover upcoming Career Treks! Are you interested in learning more, or are you an alumni that wants to host a Career Trek? Contact Scott Kustis (614.247.8698), Director of Industry Connections for Career Success. ASC Career Connections consist of networking nights focused on popular career community destinations for arts and sciences students. The goal of the series is to connect you with alumni and other key professionals who’ve all secured a career in your career community of interest. Students will learn about career paths related to their interest and gain insight on job search tactics to use for entering the field. ASC Life Beyond Degree connects students to department alumni (or alumni from related majors) for the purpose of introducing career paths that may not be immediately apparent, highlighting emerging industry trends, and supporting the development of career readiness competencies among Arts and Sciences students. These conferences consist of concurrent workshops that apply to each stage of your professional process. Potential focus areas might include: STEM, Pre-Med, Business and Government and Non-Profit. Career Coaches are stationed throughout the semester at several designated locations for you to drop by for advice on resumes, how to connect with Ohio State alumni for networking, exploring career options, and just about all things career related! 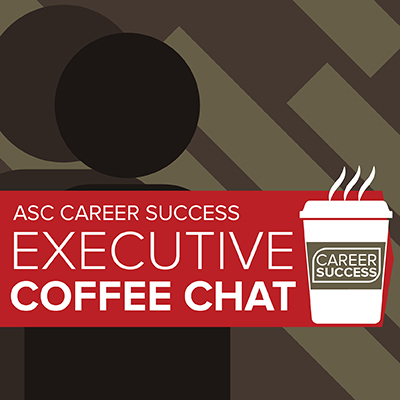 ASC Coffee Chat provide students an opportunity to learn about the value of an Arts and Sciences degree in the workplace. Each chat is an informal group discussion with an ASC alumnus about their time at Ohio State, their career path, and what helped them get to where they are. Executive Coffee Chat allows student to meet executives and other C-Level (CEO, CMO, CFO, etc) alumni to hear their professional stories. Executive Coffee Chat speakers teach students about specific topics from the business world, and discuss why industry has a renewed interest in hiring employees with Arts and Sciences degrees. 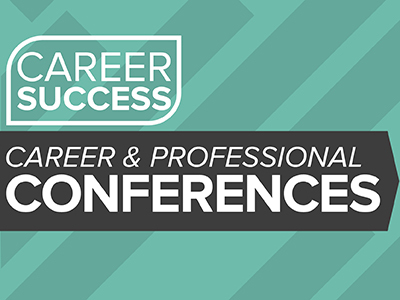 Arts and Sciences Center for Career and Professional Success sponsors a variety of events to broaden your awareness of career options and help you connect with employers. Follow our Events page to stay up to date about these and other career development opportunities. From August to April, new information is added weekly! Career fairs provide an opportunity for students and recent grads to network with employers and learn about internship and career opportunities. Many employers enjoy recruiting at job fairs to assess face-to-face whether potential candidates have the communication skills, relevant experiences, and other qualifications needed to advance in their selection process. Because you must “work” the fair to make a positive impression with employers, you are strongly encouraged to review the Career Fair Strategies tip sheet when preparing for your first career fair. View the College of Arts and Sciences Career Center fairs. Our special all-day resume review walk-in hours are generally held before large campus career fairs. This is an excellent opportunity get feedback on your resume before attending a career fair or if our regular walk-in hours don't align well with your schedule. During Resume Reboot, you can also learn strategies for presenting your resume to an employer at a career fair and for making a general positive impression during the event. Employers may hold sessions for students and recent grads to learn more about their company and promote positions posted in Handshake. Information sessions are formal recruitment events so you’ll want to wear business casual clothing. Office hours are casual opportunities to meet with a recruiter in between your classes. It’s good to have an “elevator pitch” prepared for these events. Student organizations have the opportunity to schedule a “how-to” presentation to guide their members in being more successful when communicating with employers, finding internships, and learning other key career development tactics. Request a presentation. Each term, the office organizes career panels for you to learn about the career paths of alumni and others committed to supporting your transition from college to career. Using Your Handshake Account - So you've heard about the Arts and Sciences online job and internship database, Handshake, but you aren’t sure how to start using it. This session will guide you through completing your profile, show you how to effectively search for positions, and highlight additional job and internship search resources available through the system. To track the dates and times of career panels, employer information sessions, career fairs, webinars, and other events directed as supporting your transition from Ohio State to the workplace, check our events calendar on a regular basis. The Center for Career and Professional Success specializes in resume preparation for the internship or job search. For assistance preparing a CV or resume for graduate or professional school admissions, contact Career Counseling and Support Services. Those seeking an appointment with a Career Coach are strongly encouraged to work through the process of developing an approved resume before scheduling. Students can do so by either having their resumes reviewed during walk-in hours OR by following the process for an electronic resume review. When you begin with an approved resume, more of the appointment time can be devoted to discussing your career options. An approved resume is free from errors or consists of errors that can be quickly fixed. Think of your resume as a living document that grows and changes as you gain experience through volunteering, internships, part-time jobs, and other opportunities. Continue to update your resume and have it reviewed by a staff member as you add more experience. Staff members are willing to provide feedback multiple times over the course of your Ohio State career. Meet with a Peer Career Coach during walk-in hours to have a hard copy of your resume reviewed. Check out our tip sheets if you need information about how to draft a resume. During a walk-in you may also receive guidance about writing cover letters, preparing for interviews, and obtain a brief tutorial on use of Handshake. Please check in with reception staff in 100 Denney Hall. The final student must be checked in 20 minutes before walk-in hours end. Mondays & Thursdays | 9 a.m. to 12 p.m.
Tuesdays & Wednesdays | 1p.m. to 4 p.m.
Mondays, Tuesdays, Thursdays and Fridays | 9 a.m. to 11 a.m.
Wednesdays | 8 a.m. to 10 a.m. If you are unable to attend walk-in hours due to scheduling conflicts or other circumstances, you may submit your resume for review electronically. Please note that electronic resume reviews typically take between 3 and 5 business days; processing time may increase during busy times of the year (e.g. before a career fair or at the beginning of a semester). Upload the current version of your resume to your Handshake account. Contact the Arts and Sciences Career Services Office at asccareer@osu.edu to request a review and include a few sentences about how you are planning to use the resume. For instance, is there a specific position you'll be applying for, or do you need it for a career fair? Providing details about the types of positions you are trying to qualify for will allow the reviewer to evaluate your resume's overall effectiveness. If you are interested in meeting with a Career Coach, please note this. A staff member will follow up with you to provide electronic feedback about your document.